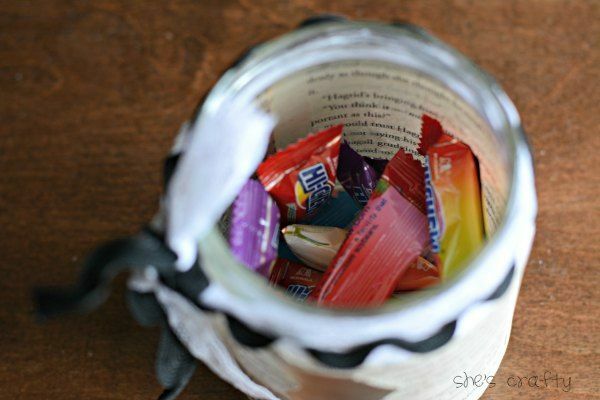 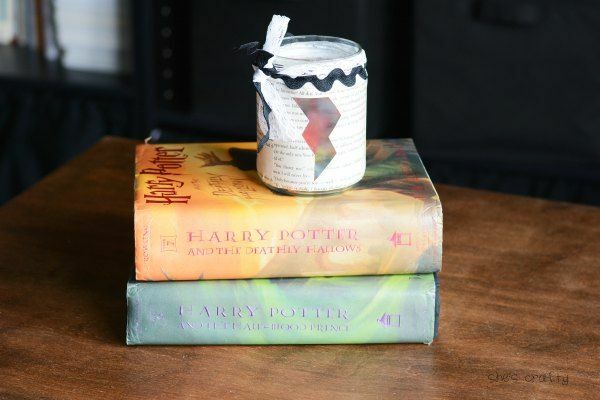 Today I'm sharing a Harry Potter themed candle/candy jar. 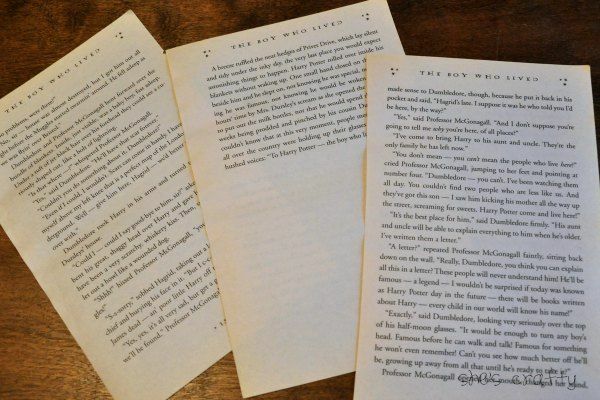 I'm sure there are some of you that are cringing that I used an actual book, but this one was well LOVED (aka beat up) and I have another pristine copy of the book! 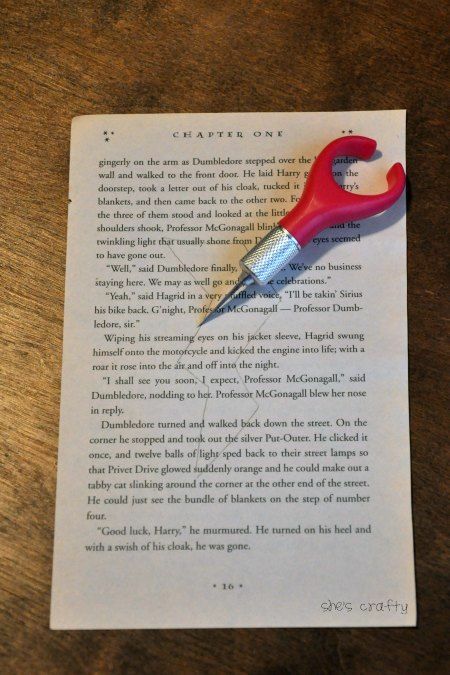 I drew a lightening bolt onto one of the pages and cut it out with an exacto knife. 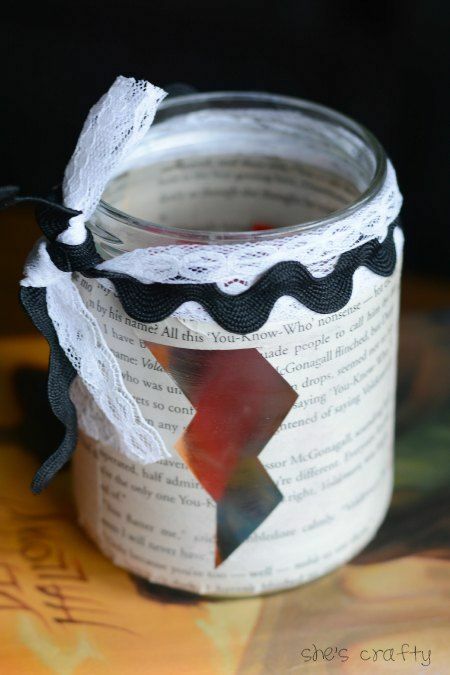 I mod podged the lightening bolt book page onto the jar and then tied some ribbons around the top. 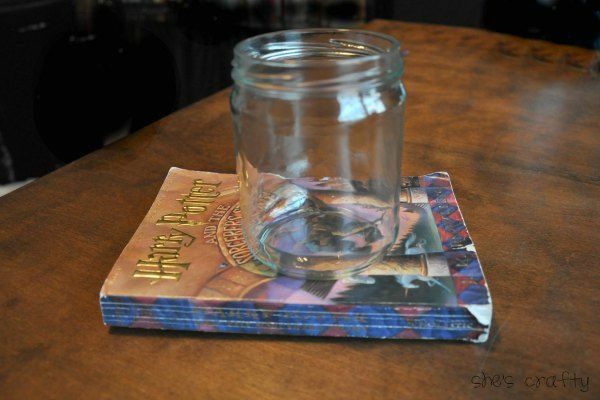 or it can hold a tea light. 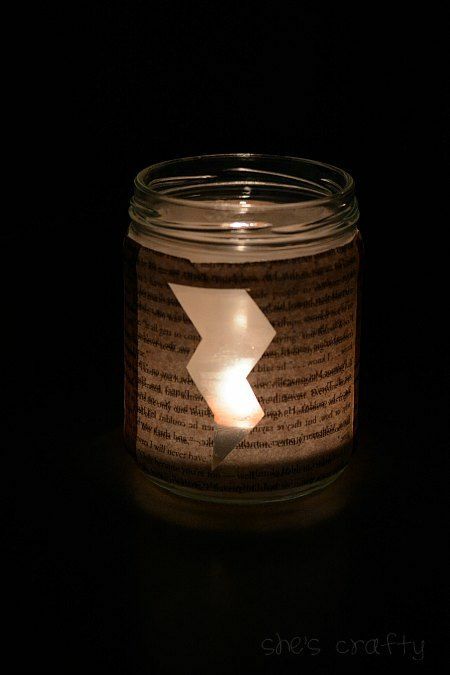 The lightening bolt looks so cool with the back light.